Much like Templatic’s LiveTwit free theme, Aggregator is a free WordPress theme that takes things one step further allowing users to aggregate all of their feeds in one place! 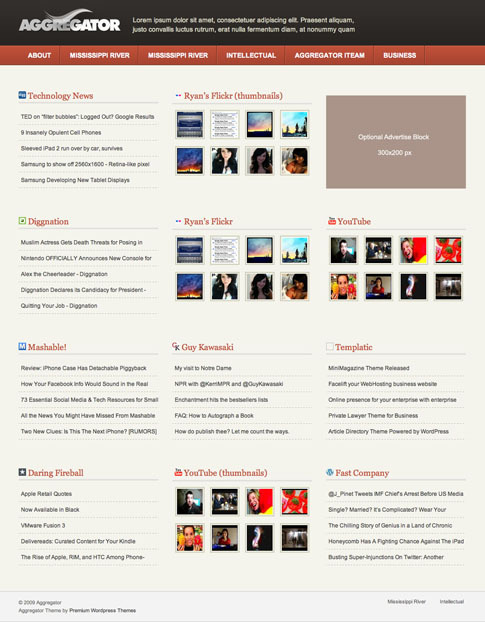 If you’re in need of an attractive format to display all of the happenings in your life with friends, loved ones, or whoever, Aggregator free WordPress theme is the perfect way to do it. Come back and check out the showcase as we find more sites from around the web using Aggregator.